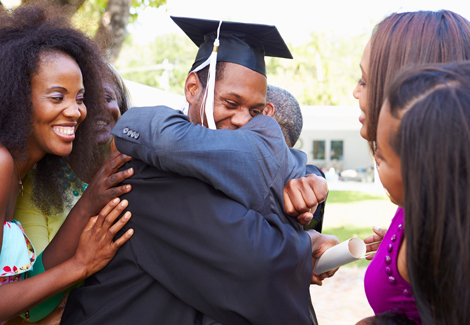 Planning for the finances necessary to send your children to college should not begin as they start their senior year. Ideally, the time to begin a college savings plan is when you and your spouse first decide to even have children. Though you can begin saving for college any time, at Nida Financial Group, we can show you how much faster your money will grow the earlier you begin to implement a savings plan. We will take you through the many options available and show you how quickly you can amass the finances you need by the time your son or daughter graduates high school. But what if your child chooses not to go to college or does not want to go immediately after high school? If you have properly structured your college savings plan, you could use that fund for retirement planning or even buying a home, depending on the financial vehicle used to save for post-secondary education. If your child decides to take a few years after high school to work, travel or join the military, the money in the college savings fund will still be there when he or she decides to enroll in college. There is no time line for using the money you have set aside for education. And, if there is money left over after graduation, depending on the program used for college planning, the remaining balance could be passed down or reinvested into a retirement savings account. When we meet with you to discuss college planning, we will take you through the cost projections for school, both in-state and out-of-state, and give you a full picture on how much money will be needed. We will be able to tell you, based on the financial structure of the plan, exactly how much money will be available for school. With the soaring amount of debt so many college students amass with loans, it is never too late to begin looking at ways to not only reduce that financial burden, but also to find a way to ensure that burden never has to exist in the first place. Make your free appointment today for an initial consultation with us at the Nida Financial Group.